It was a hectic but delightful weekend at the Puttenahalli Lake. On Sat. 20th Jan Mr. S.K. 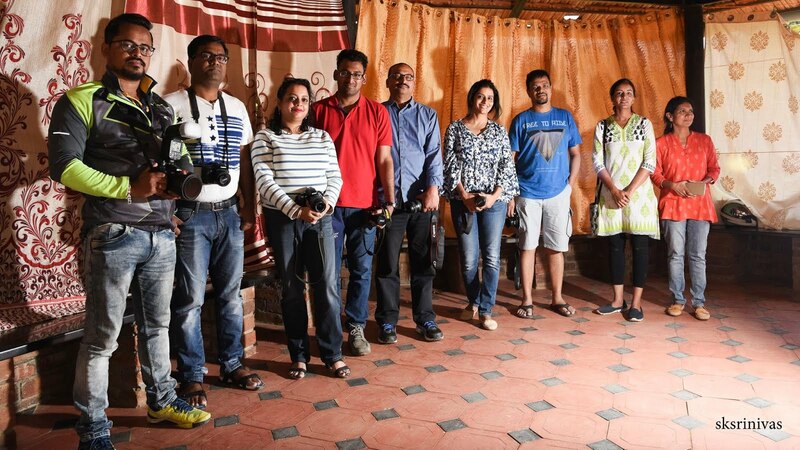 Srinivas led a group of 12 participants through the intricacies of photography. It included a class in the Gazebo which we had darkened with curtains to facilitate better viewing of his PPT. 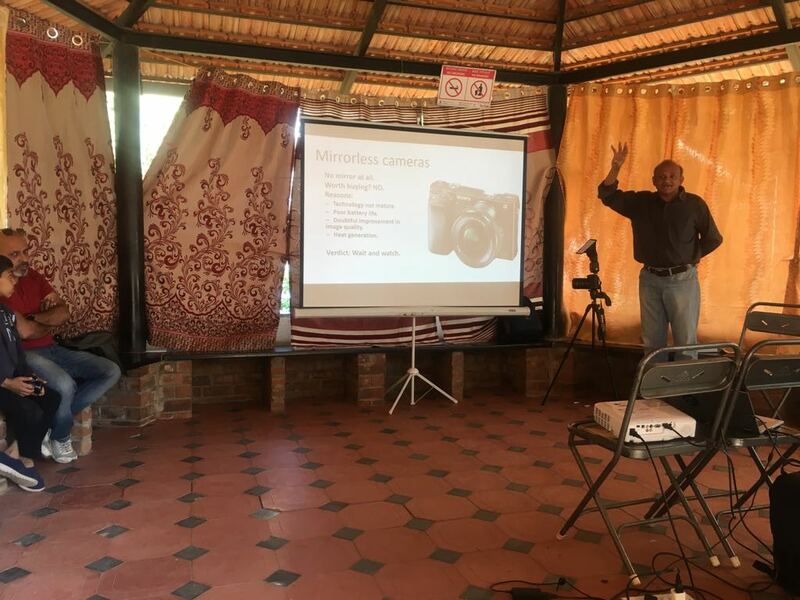 Participants asked questions, cleared doubts, showed the pictures they had clicked, etc. Time flew and the scheduled two hours extended to three and more. 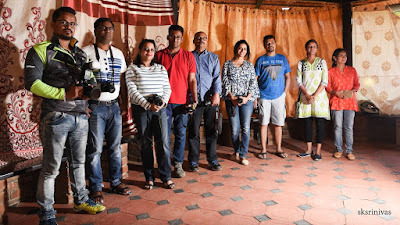 Everyone welcomed his ideas of a day long photo walk and forming a group so that their learning could continue. Meanwhile, we received email requests from others unable to attend this workshop for another one to be arranged soon. Well, if there are enough participants, we will be happy to do so. Please email if you are interested. Thanks to photographers like Srinivas, Madhurima, Vishnupriya and others who visit our lake every so often with their cameras, even our gardeners have begun to take photos with their mobiles. 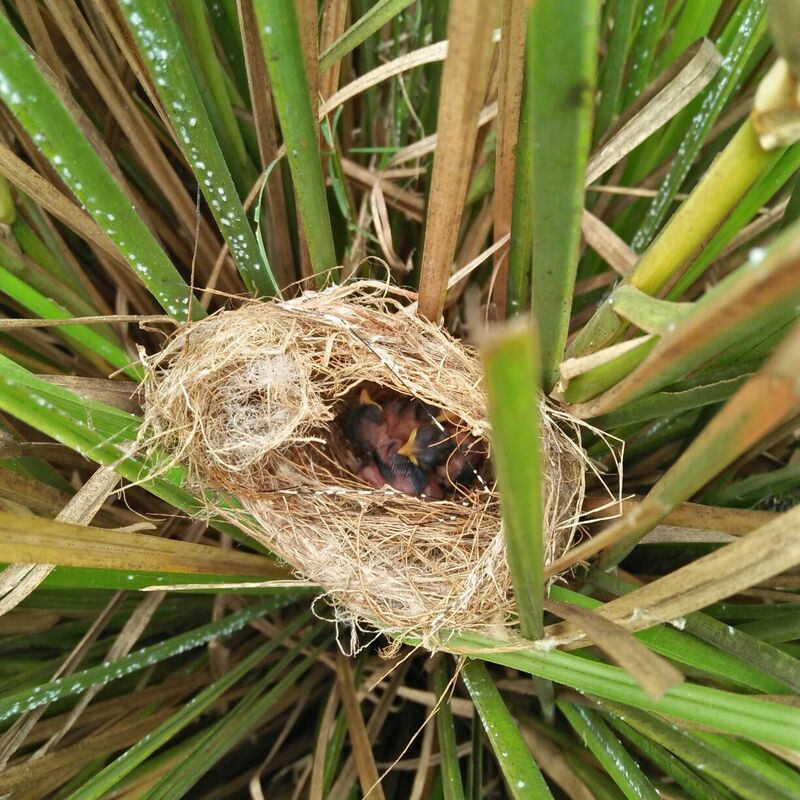 One taken by Ramu in Nov. 2017 of chicks in a nest is below. Exposure matters, not just in photography but also in moulding a person. 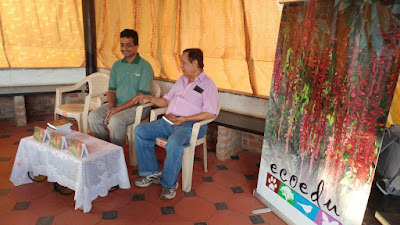 The Foto Fundas workshop was followed by the release of Discover Garden Climbers written by Mr. T.S.Srinivasa on Sunday 21st Jan. Our Guest of Honour was Mr. Vijay Thiruvady, a naturalist and authority on trees. He was full of praise for the book which he felt was the perfect guidebook for climbers. Mr. Srinivasa explained the technicalities of bringing out a pocket sized guide, the constraints of limited number of pages (168) and words (200) for each specimen, choosing the climbers (65) and so on. 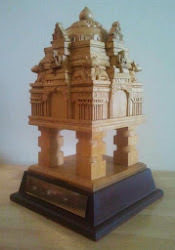 Mr. Thiruvady's knowledge is so deep and vast that we could only sit and listen with awe. The author, Mr. T.S. Srinivas added his reminiscences of a childhood spent in spotting birds, insects and, of course trees, shrubs and grasses. Mr. Karthikeyan whose photographs add visual beauty to the book spoke briefly about his volume called Discover Avenue Trees. What a magical world of flora they presented! The small but engrossed audience had questions in plenty for the experts. The Q & A went on for so long that we had to announce that we were wrapping up. 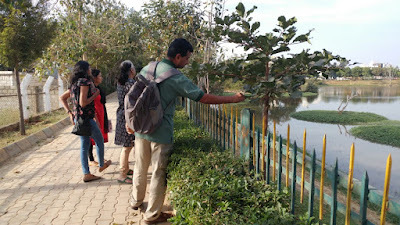 It was becoming dark and we had another chore for Mr. Thiruvady and Mr. Srinivasa - inaugurate the naming of the trees in our lake by hanging a board on two trees. The trees chosen were a Badminton Ball (Parkia biglandulosa) and a Big-leaf Mahogany (Swietenia macrophylla). Mr. Thiruvady directed attention to the fluffy flower head of the Badminton Ball. Mr. Srinivasa mentioned the nocturnal pollination by nectar feeding bats. As if to prove his point, a couple of bats swooped and hid themselves among the leaves. We added a little bit of personal history about the tree - it was planted in Sept. 2010 by PNLIT Trustee Arathi's grandmother on her 90th birthday. Mrs. Ramachandran from Rajalakshmi Apartments summed up our weekend events aptly: "These events bring like minded and lay people together and they bind people." 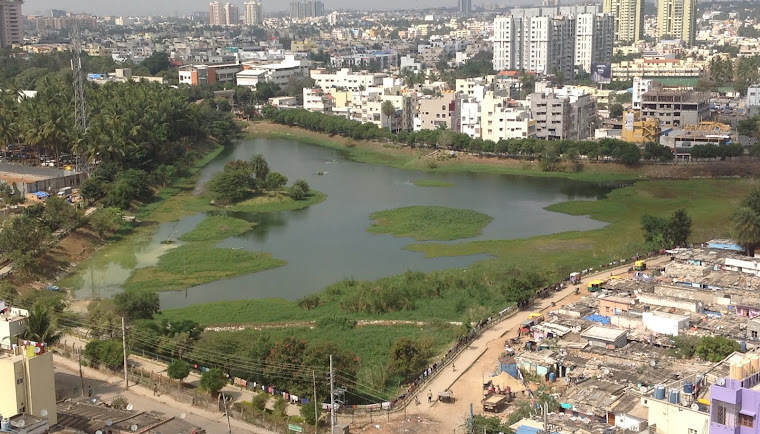 It is indeed to bring the neighbourhood together and to spread awareness of this magic called Nature that we organize such events at the lake. Make the most of them. They happen at your neighbourhood lake.